Elite Circuits, founded in 1989 and based in Cranbrook Kent, provides a reliable manufacturing service for small to medium batch 2 to 6 layer PCBs .Quick turnaround 24 hour to 5 day prototype, and standard delivery options are available, with all boards fully tested. Elite offers RoHS compliant finishes and flexible service options to meet a range of customer specific needs. At every stage of manufacture, the Elite Circuits team ensure that the highest quality standards are maintained at all times, Elite holds ISO 9001 and UL Elite Circuits is a Falcon PCB Group company, one of Europes leading circuit board manufacturing groups. High technology PCB manufacturer Merlin Circuit Technology Ltd situated in in a purpose built 45,000 sq ft factory in North Wales provides quick turn around and standard service options for prototype, NPI and medium volume for 2 to 32 layer PCBs including advanced technology product. Merlin is an AS9100 rev C accredited company Merlin specializes in HDI micro Via, and impedance control. utilizing the latest and very best in PCB process equipment. Experienced engineering and technical teams provide comprehensive support from design to manufacture and also offer advice on special substrates. Merlin manufactures boards for a global customer base. Market sectors include Aerospace, Defence and Security and advanced Telecoms including 4G amongst many others. 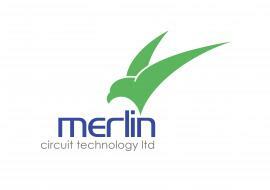 Merlin Circuit Technology is a Merlin PCB Group company one of Europes leading circuit board companies. Established in 1987, in Hartlepool, Teesside Merlin Flex Ltd has vast experience in the manufacture and Flexible and Flex Rigid Printed Circuit Boards. The company occupies a 24,000 square foot manufacturing facility providing world class expertise across a broad base of technologies. Merlin Flex Ltd takes a leading role in managing original turnkey projects for customers within the defence, medical, aerospace and telecoms sectors. Merlin Flex Ltd is an AS9100 rev C accredited company Merlin Flex Ltd offers a range of value adding services Single sided and plated through flex, to multilayer flex and flex-rigid boards: including dual access and floating lead, blind and buried vias, sequential build and controlled and differential impedance, plus cad design and as an option SMD assembly service approved to IPC ANSI/J-STD-001 standard. 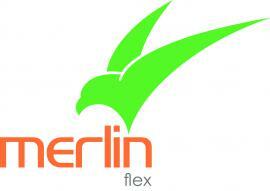 Merlin Flex Ltd is a Merlin PCB Group company one of Europes leading circuit board manufacturing groups. Rockford is one of the UK's largest independent suppliers of electrical interconnection systems for Civil and Military Aerospace, Nuclear, Marine and Land Systems. Holding ISO9001, AS9100 Rev C and major customer approvals Rockford has a successful history in addressing the needs of Aerospace and Defence customers at home and abroad, employing over 250 staff at three SC21 Silver sites across the UK. 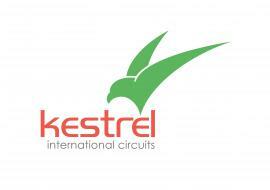 We now have a fully compliant Joint Venture in the UAE offering offset to our customer base. Our specialist BAE Systems approvals allow us to Braid to J56.025 and PAN 6879 using 16, 24 and 48 Carrier machines. Our five Spectrum Laser Wire marking machines allow both upper and lower case in horizontal and vertical text to be laser marked onto many types of wire.